Ben called in to let us know that the team had a great trip over the Renjo La and enjoyed a great time in Gokyo as well as a wonderful trek over the Renjo la to Thame a cruise back to Namche. The entire team made it up Gokyo Ri a few days ago with some going in the morning and others for sunset. Ben and Richard decided to brave the cold of sunset and were rewarded with a few minutes of perfect sunset light on Everest as it poked up out of the layer of clouds which had kept it hidden during most of the their hike to the top. The morning crew had clearer weather the entire time so both groups were happy for their efforts! On the pass they had more good views of Everest and the surrounding mountains and especially enjoyed the ease with which they could hike being so well acclimatized. In Thame they had some light snow but mostly clear weather and the trek back to Namche was very beautiful as well. Today they made the long trek back to Lukla and will catch the morning flight back to Kathmandu to enable them to enjoy a few days of sightseeing in Kathmandu! Ben will come back into town and after seeing this crew off to the airport will get onto the preparations for our Ama Dablam Nov 4 expedition. 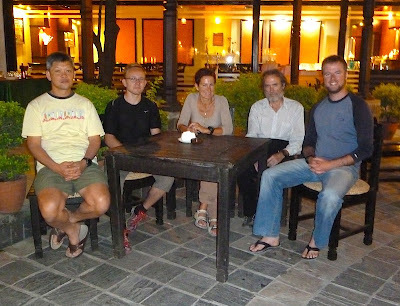 He'll be joined during the course of the week by Brad, Meagan, Bryson and Colin during the course of the week and they will fly up to Lukla on the 6th. In the meantime we'll hope to hve a bunch of great pics from the team over the week ahead! Ben called in from Gokyo to let us know that everyone was feeling great and that they had reached Gokyo with excellent weather and were looking forward to a full day in Gokyo. They took the high route across the eastern side of the glacier and then crossed over after joining up with the same path they would have had from the Cho La. During the day in Gokyo they plan to hike up Gokyo Ri and take in the panoramic views once if not twice to capture sunrise and sunset views of Everest and the valley. The best for photos is really the sunset so they hope to have good weather and will bring sleeping bags and flashlights so they can stay late! They will be heading out shortly to go over the 5300m Renjo La and around to Thame and this will be there most remote section of the trek with the high pass and proximity to Cho Oyu and Tibet. They will pass most if not all of the Gokyo Lakes which have tremendous religious and are reported to be the highest fresh water system of lakes in the world. These lake help make life possible in the towns below and they have been studies as representative of climactic changes and concerns over potential flooding downstream. In Thame they will have the pleasure of visiting a wonderful monastery perched high on a hill overlooking the valley filled with fields, homes and tea houses. From Thame they can also take hike up towards the pass to the Trashi Labsta pass which leads to the Rowaling Valley and a near encounter with Tibet. This is a pass we are looking forward to visiting next year as we expand our "tough treks" options which now include the Khumbu Peaks and Passes, K2 BC, Stok Kangri, Noshaq and more! We will have news shortly from the team about their day in Gokyo and progress on the trek! Ben called in on his cell phone from Pangbiche to let us know that the team had to reroute to get to Gokyo as a large snowfall all day made it impossible to go over Cho La safely. With low visibility and avalanche risk too high they instead dropped back down to Pangbiche and will go to Gokyo by way of Upper Pangboche and Phorste. The monastery in Pangboche is some 600 years old and the oldest in the Khumbu. The Lama is often called upon to perform the Puja for expeditions as they prepare to climb and is a busy person at this time of year with so many groups coming through! 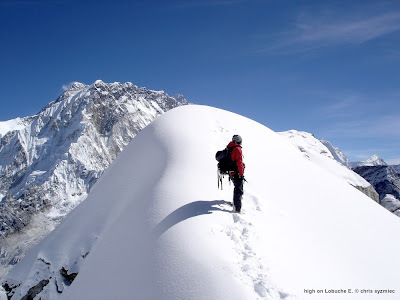 FTA Khumbu Peaks and Passes - Lobuche East Summits! Ben called in from base camp to let us know that everyone was doing well and that they had just returned from the summit of Lobuche East's "Far East" summit! Mattias, Richards, Tsering and Ben all made it to the top while Veronika stopped about 100m shy of the top when she felt her energy wane and wanted to be sure to have good reserves for the descent. Ben said they began the day with great views and great conditions but as the summit neared they lost much of their visibility so unfortunately did not have much of a view on the top. Nonetheless they had a great day and were down getting ready for a good supper. Congrats to all of them for a job well and prudently done! With the main climbing portion of the trip done they will send back their tech gear and now enjoy crossing two of the great passes in the Khumbu region: The Cho La and the Renjo la. The Cho La pass (at 5330m) will bring them over to the Gokyo valley and while they are there they will climb up the non-technical Gokyo Ri and be treated to one of the best views to be had of Everest. From the top of Gokyo Ri (5367m) which is just a 2 hour scamper from Gokyo village, Everest sits up in a grand fashion as a rocky and icy pyramid. One has great views of some of the most demanding and difficult lines of Everest. One can aslso take in a single sweeping view 5 of the highest peaks on the planet with Everest, Cho Oyu, Makalu, Lhotse and Nuptse. in the foreground of these giants lie the jagged peaks of Cholatse and Tawoche and the turqoise lakes of the Gokyo valley. Our team will move up to a small cluster of lodges at Dzhonglha (4860m) just before the Cho La pass today and have nice views back to much of the climb they just completed. Tomorrow they will head over the pass and stop at Dragnak (5025m) which is a tiny village tucked in against the lowest flanks of the pass. From there they will cross the undulating and intricate maze of the Ngozumpa glacier to reach the trekking trail and an easy finish into the small village of Gokyo (4780m). The Ngozumpa Glacier is the longest in Nepal and stretches from Cho Oyu to Cholatse and our team will follow its western edge after Gokyo to make their final pass crossing over the Renjo La. This is a wonderful and demanding trek and we are looking forward to putting it on again in each spring and autumn so have a look on our site and let us know when you can make it! We have a few spots open for Ama Dablam with Ben Kane starting Nov 4 and would love to fill them. Check out the trip page and let us know if you are interested! FTA Khumbu Peaks & Passes - Lobuche summit bid tonight! Ben called in the from high camp at 5200m on Lobuche to let us know that the team is set for a 3am departure for the top of Lobuche East! 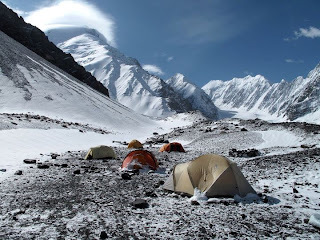 They had just finished a good supper and were all settled in their tents after having enjoyed a pleasant afternoon making their way from base camp to high camp. Ben said that Tsering had fixed about 200m of rope on the steeper access section and that they were camped out just below the snow line with great views to Ama Dablam, the Everest/Nuptse massif and with extraordinary views to Cholatse and Tawoche. They'll be up at 2:30am for breakfast and off at 3am and we'll look forward to hearing their news when they are back down to base camp if not sooner! Ben called in from a high camp on the far side of the Kongma La to let us know that a large part of our team had made a good effort on Pokalde only to be turned back near the top by suspect conditions. Ben, Tsering, Veronika, Richard, Mattias and Pemba all climbed quite high on Pokalde and reached the final summit ridge only to meet with a 6in/15cm covering of new loose snow on top of the loose rocks of the ridge. Had they had several feet of snow or none at all the route would have been quite good tot he true top but the loose and unsonsolidated nature of the ridge made it prudent to celebrate on the false summit and save the energies for the main prize to come - Lobuche E.
After descending from the climb back to the pass they pushed further on down the slope and tomorrow will head to Lobuche Base Camp for a summit bid expected to be on the 19th if all goes well. Ben plans to check in again when they reach base camp so we'll have an update then on the main group. 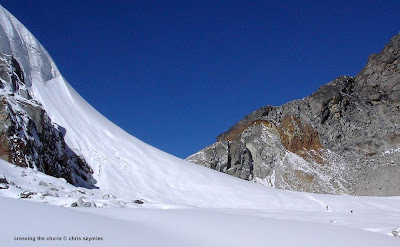 At the same time as Pokalde was being tackled the decision was made for Seng to come on out from the trek as he was simply not recovering despite having moved all the way down to Deboche. We had hoped that descending (along with one of our Sherpa guides Geylu) to the last place that Seng felt great might have allowed him to recuperate but he awoke after his second night there feeling fatigued and with signs of potentially serious altitude illness. Rather than take any risks we arranged a helicopter ride for Seng and he caught a chopper from Tengboche straight back to Kathmandu where he is feeling better and already resting for the night. As always our Nepal agent Nima was amazing and got the helicopter to lift off from Lukla within minutes of the decision - Thanks Nima Dai! We'll have more news from Lobuche and Kathmandu in the days ahead but below I am adding a few thoughts about altitude illness and HAPE in particular as this was the concern we had in Seng's case. The most crucial thing about treatment of any suspected HAPE is that descent is the definitive cure. No matter what medications or equipment you have, it is getting much lower down that will allow one to recover. Sometimes this can be as little as a few thousand feet and other times it may mean 10000ft /3000m or more. HAPE can sometimes be slow to progress and other times quite fast and it is highly and rapidly debilitating and exacerbated by exertion at altitude. 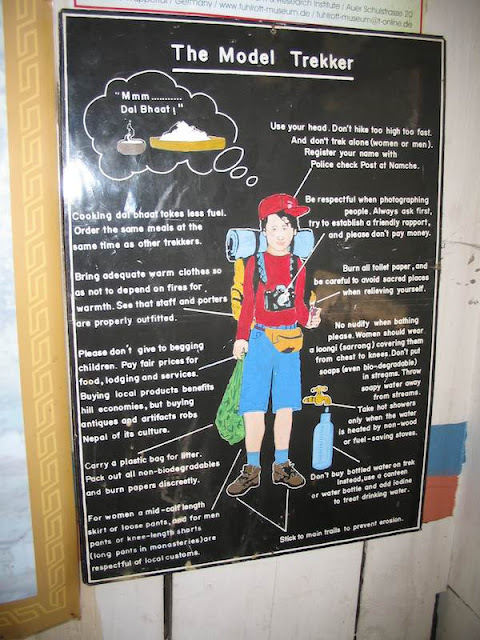 All of this is therefore problematic for someone in Deboche (at approx 3700m) with signs and symptoms of HAPE is that they are unable to descend a nice smoothly downward sloping trail - like one might find going from high on Aconcagua to one the the two main base camps. 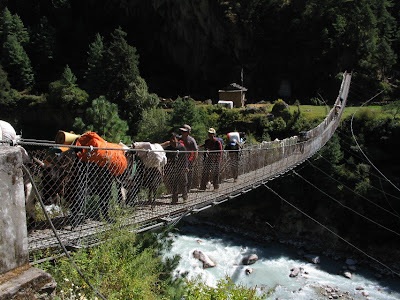 Instead they must surmount a small rise to Tengboche (approx3850m) drop steeply down to the Dudh Kosi river at Phunki Tanga (3250m) and then then ascend again a few hundred meters before finally reaching a somewhat flat but undulating trail to Namche (at approx 3500-3600m). 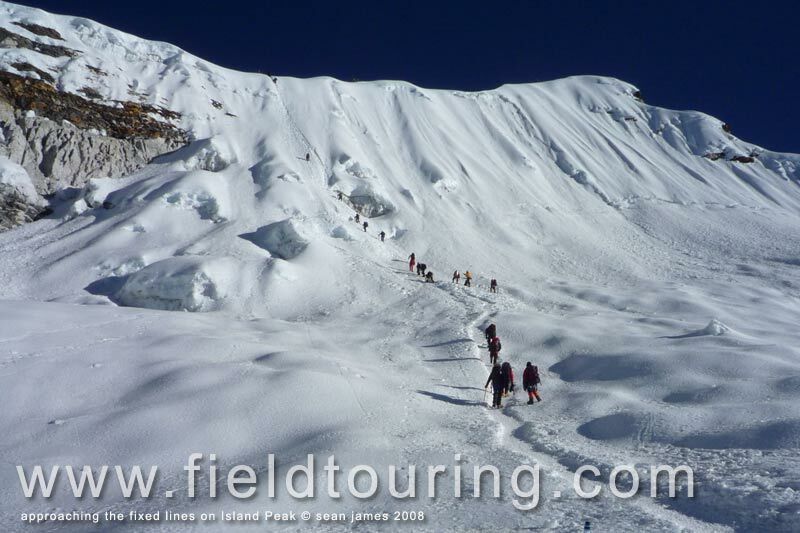 This trek takes perhaps 4-6 hours for an acclimatized person feeling well and is not an insignificant trek. If someone with altitude sickness was to make the effort to go over the hill and down to the river and then find themselves without the ability to climb back up to the trail it could be very serious indeed. In the end it simply makes no sense to attempt such a walk out if there is a good alternative. 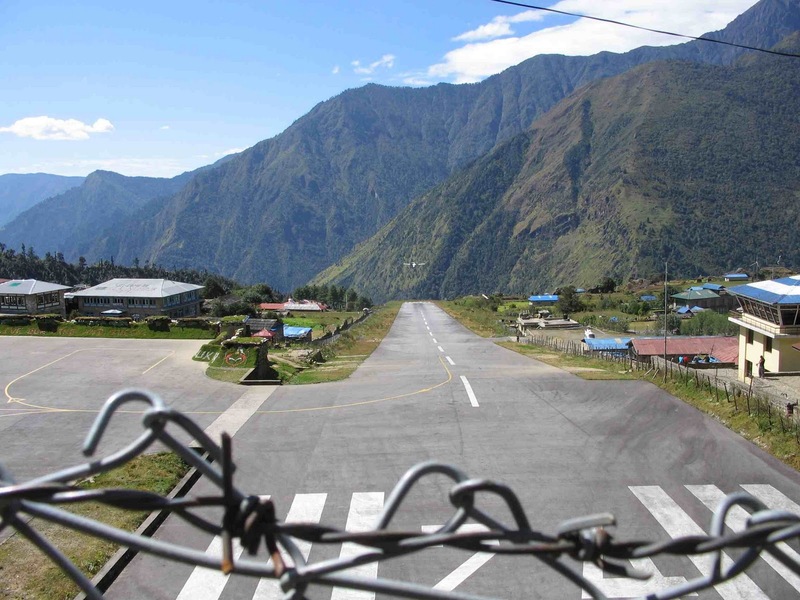 The most rapid and valuable is a helicopter ride all the way back to Kathmandu. In a matter of hours one can be back to the oxygen rich environment with minimal exertion. Serious symptoms late in the progression of HAPE are easy to spot as they include awful things like patients coughing up pink frothy sputum, ashen having altered mental status (from confusion to unconsciousness) and patients needing assistance to move or being unable to move on their own. The crucial thing is to see the early signs and react with caution. Headaches that do not resolve after some rest and drinking (or even some aspirin, ibuprofen etc), lack of recovery of energy after resting, personality changes (more reserved, more anxious, more cranky) and so on. It is very common for trekkers and climbers to feel the effect of altitude and that often means feeling winded while working hard, having a mild headache or being a bit off your game. But these things should all go away when resting or after a good night sleep. If they do not then then best thing is to stay at the same altitude or descend until they resolve. The vast majority of people who have mild acute mountain sickness (AMS) recover just fine with going back to the last place they felt great or taking an extra night where they are. Sometimes even with these precautions the altitude illness progresses and people need to get down and out of the hills and come back another day. Have any questions about altitude illness? Be sure to send them to us at "info@fieldtouring.com" or drop the question on our Facebook wall. FTA Khumbu Peaks and Passes - Island Peak Summits! Ben just called in with the update on the sussmit push with the good news that Veronika and Tsering topped out this morning and that they are already back in Chukung! They left the high camp at 3 am and topped out at 7:45am so were moving very quickly. Congrats to them both! Mattias and Richard were feeling the effects of altitude and decided wisely to hold off on a summit bid and keep on a good track for Pokalde, Lobuche, Gokyo and the trip ahead. Mattias did take a good walk up towards the high camp and both he and Richard are ready to go for Pokalde high camp and the Kongma la tomorrow. Seng has had the hardest time with the altitude and came back down to Dingboche from the Island Peak BC and Ben has been keeping a watchful eye on him. Today Ben and Seng decided it would be best for him to descend back to Deboche which is the last place he felt great and give him a few days of rest and acclimatization there. While the main group goes over the Kongma La, Seng will take it easy there along with our asst chef Geylu. If Seng is feeling well after a few nights there they will come back up to Pheriche and then on to Lobuche and meet up with the main team for the corssing of the Cho La. One of the good things about Deboche and the Rivendale Lodge is that Seng will have access to email so we'll hope for a nice note from him shortly. As I mentioned in my last dispatch acclimatization is an individual matter and each member needs to listen to their body and move wisely. Sometimes it is simply a matter of slowing down during a day and breathing more, other times it means extra nights and ever now and then it even means descending. 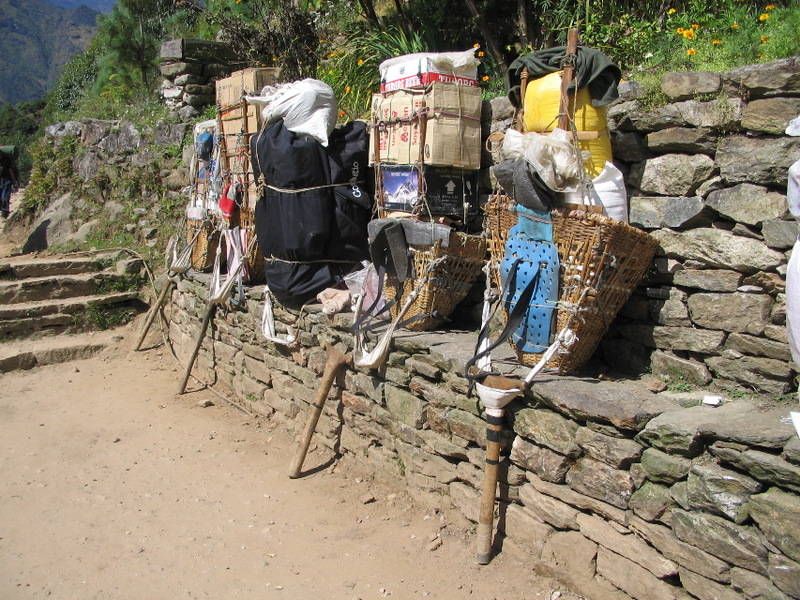 It is easy to forget as one treks by villages with children laughing and playing that these are still very high altitudes and need to be respected. Ben and the main group will travel light with a few porters over the Kongma La and the cook staff and porters will meet them on the other side to join up for Lobuche BC.With good luck the entire team will head over the Cho La into the Gokyo valley in less than a weeks time carrying summits of Island Peak, Pokalde and Lobuche with them! We'll have more news in the days ahead! FTA Khumbu Peaks and Passes - Island Peak summit bid ahead! Ben called in today with great news from the Khumbu - our team is all ensconced in a moonlit base camp and planning on a summit on the 15th of October! They had just finished a fine pizza supper and were headed to get some sleep after a full day at the base camp. 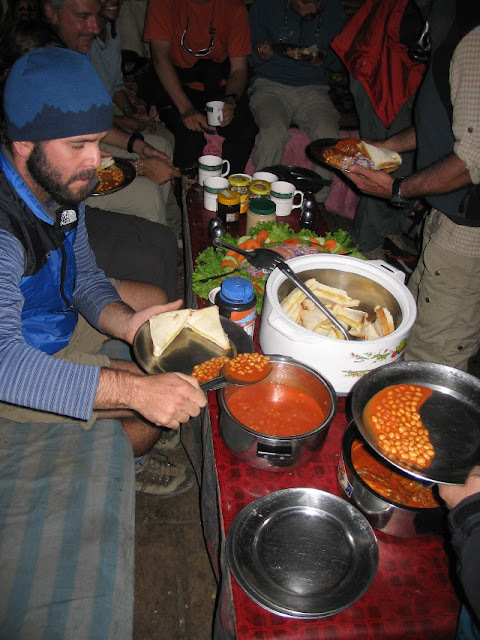 Ben said that our cook Pemba has been knocking out one great meal after another and they are looking forward to the weight loss plan of the high altitude climbs! During the hikes and meals they have had a good time getting to know each other and have been enjoying each others company very much. Much of their day today was spent on a full skills review of fixed line movement, crampon and ice axe use and more. Some of our members have extensive experience including attempts on 8000m peaks and were able to enjoy the review and share their experience. Others have limited exposure to technical climbing and the day presented a wonderful opportunity to get ready for the climb ahead on their first 6000m peak. As everyone had been away form the mountains for some time they all benefited from the practice and review and everyone is feeling good about the climbs ahead. The climbing will be coordinated by our lead guide Ben and lead sherpa Tsering along with a sherpa-in-training Pemba. We hope that all 4 members will feel strong enough to make a summit push but the morning will be important for an assessment of acclimatization for everyone. As they have a full trip ahead with 3 more climbs there is now need to push and anyone feeling any altitude effects tomorrow will likely take an extra rest day at BC and make a walk up to the high camp while the main team goes for the summit. After this attempt on Island Peak they will move on to Pokalde which will give everyone another peak to acclimatize on before the climb on Lobuche. 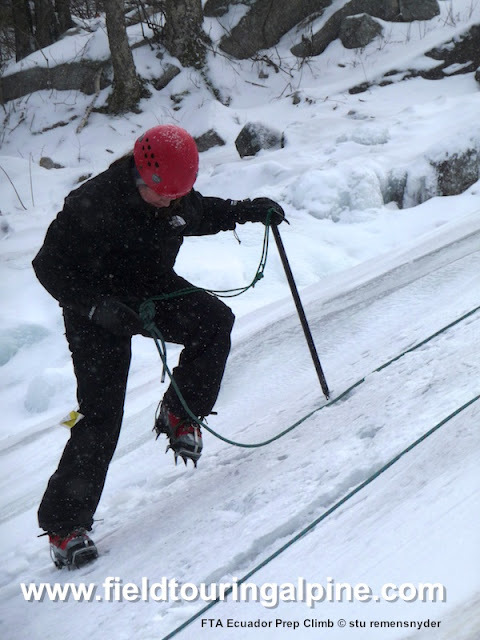 Learning the basics of roped climbing with ice axe and crampons is fun and rewarding! As is always the case people have acclimatized at different rates with some members feeling the altitude earlier in the trip and others more recently. Acclimatization is an "experiment of one" and each person must find their own schedule over time. For members who have extensive high altitude backgrounds the program can be looked at ahead of time and know it will be fine. For others making their first foray into high altitude it is in many respects a big unkown and they are being asked to follow an accepted schedule that may in fact not work for them. We are always mindful that we may need to adjust the program for individuals who don't conform to the traditional altitude jumps. As such Ben has been checking in regularly with the members, taking pulse oxymeter readings and keeping a watchful eye on everyone. So far everyone has been going well despite the occasional mild headache and Ben is hopeful they will all be ready to go tomorrow to high camp. Ben will call with more news in the days ahead so stay tuned! Ben sent in a couple of updates over the weekend and here they are for you to enjoy! They have already arrived in Tenboche and we'll have more news shortly! 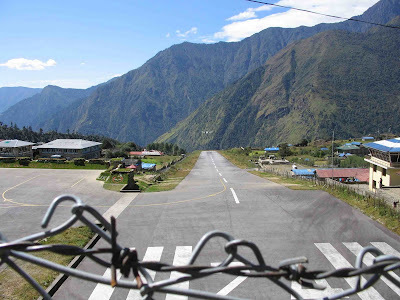 After waking up at 4:30am and a few expected delays in the airport, we finally took off for Lukla airstrip. This truly is one of the most amazing plane flights in the world and for some the highlight of the trip into the Solo Khumbu valley. We had a quick repack of gear in Lukla and then it was straight onto the trail, stopping for a lazy lunch and getting into Phakding mid-afternoon, arriving to our tents already set up and more hot drinks awaiting us. 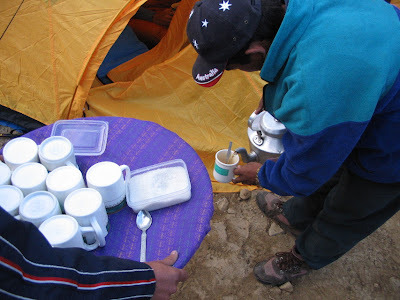 Everyone had a lovely nights sleep with the sound of the river cascading close by, and up bright and early with 'bed-tea' (chai served to us in our sleeping bags! ), a hearty breakfast and off on the trail early. It's great to get going early as it is cool and the air is crisp and clear. We finally made it into Namche early afternoon, which involves a steep hill climb, but the views from the top are worth it! Unfortunately we couldn't see Everest due to some clouds but many of the awesome peaks surrounding Namche were peering out through the cloud. Tomorrow we plan a hike up to Khunde Ri, and a circuit over to Khumjung (a visit to the bakery) and some sightseeing around town. All the best and more to come! the warm afternoon sun after our big day out. Tomorrow we are up early for our hike up to Tengboche, and hopefully we'll get a peek inside the famous monastery. Everyone is feeling really good and acclimatising well which bodes well for the coming days of ascent. FTA Khumbu Peaks & Passes 2011 team in Kathmandu. 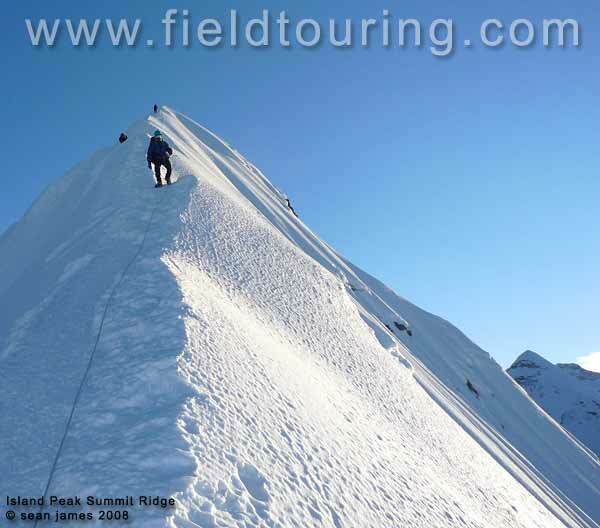 Send us your name and email address to get on the updates list for this trip next year in the Hindu Kush. Team size max of 12 and as a new program in 'recce mode' costs will be kept as low as possible. While the hill is only 62kms from Chitral, we'll be going in via Dushanbe and Ishkashim ensuring we dont stand on any Afghan territory while holding only Pakistani visas - the summit is in Afghanistan, while much of the rest of the mountain is in Pakistan! FTA Khumbu Peaks and Passes - In Namche! Ben dropped us a note a few minutes ago to let us know that they have reached Namche and eveyone is feeling well. They will have an acclimatization day tomorrow which usually includes run to the famous Khumjung Bakery for a pizza lunch at the "world's highest bakery"! Ben will drop us an update before they head off in a few days towards Island Peak. FTA Khumbu Peaks and Passes - under way! All of our members are assembled in Kathamndu and they will fly to Lukla in the morning to get the trip truly under way! Ben will post a pic of the team shortly and we'll have a full opening dispatch shortly!